This film is full of really fantastic animation. The movie was the height of the Disney Renaissance, partly for its stunning views of the African wilderness. 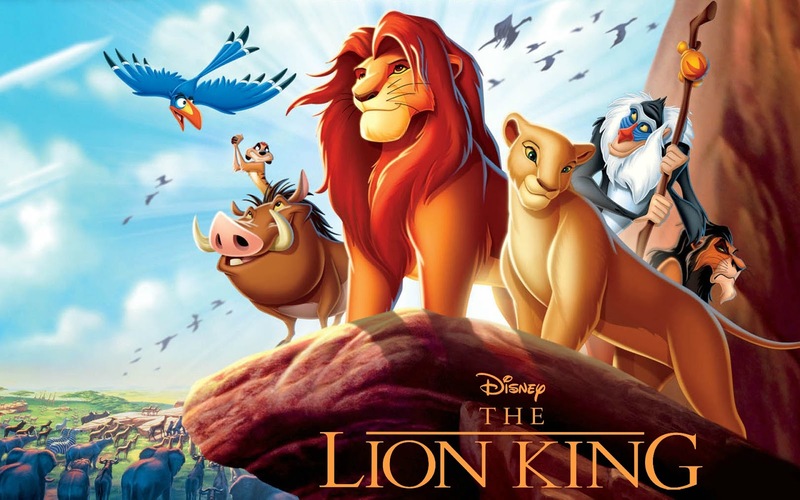 From sunrises to starry nights, Disney portrayed the true beauty of Africa in every frame. Also, "I Just Can't Wait to be King" is the most underrated animated sequence ever. Just saying. Elton John is very proud of (and obsessed with) this movie. Every time I turn on Pandora, I get at least ten versions of him singing "Can You Feel The Love Tonight." I'm pretty sure if he could go back, he'd insist that the film be like Tarzan in that none of the characters actually sing and it's just him singing while characters do things noiselessly. I mean, can you blame him? It's not every day you win an Oscar for music from an animated movie. This movie is awesome. I almost feel like saying "if you haven't seen this movie, you're not a true Disney fan." (I won't be that mean.) However, in the rare event that you haven't watched it, do so now, so I can't say anything to you. Also, buy a Simba stuffed animal to watch it with. And the soundtrack so you can sing to all the songs later.